Dunky Cup is a fun new way to enjoy one of America’s favorite pastimes – Milk and Cookies. Phoenix-based startup, Sprybird LLC, just released a fun new product that is a must-have for cookie dunkers. Named Dunky Cup, it is redefining the milk and cookie experience. Heavy-duty, yet sleek and comfortable to hold, the dunking cup was meticulously crafted for various-shaped cookies and milk. Inspired by the creator’s love for Oreo Cookies, the three pockets also nestle a variety of morsels such as Milano’s, graham crackers, vanilla wafers, and even your own freshly baked cookies. At center stage, ice cold milk, tea, or coffee is stored and is where the dunking fun and mystique takes place. 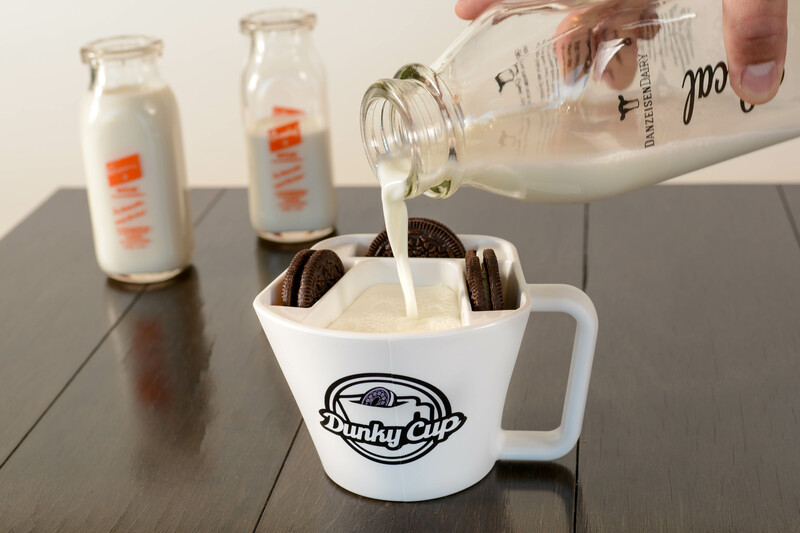 As an added bonus, Dunky Cup allows you to ditch the plate, elevating you to cookie dunking bliss with a simple, yet innovative approach to cookie dunking. “I’ve always had a sweet tooth and a passion for inventing,” says the cup’s inventor Jim Smith that has a Kickstarter campaign for the product.